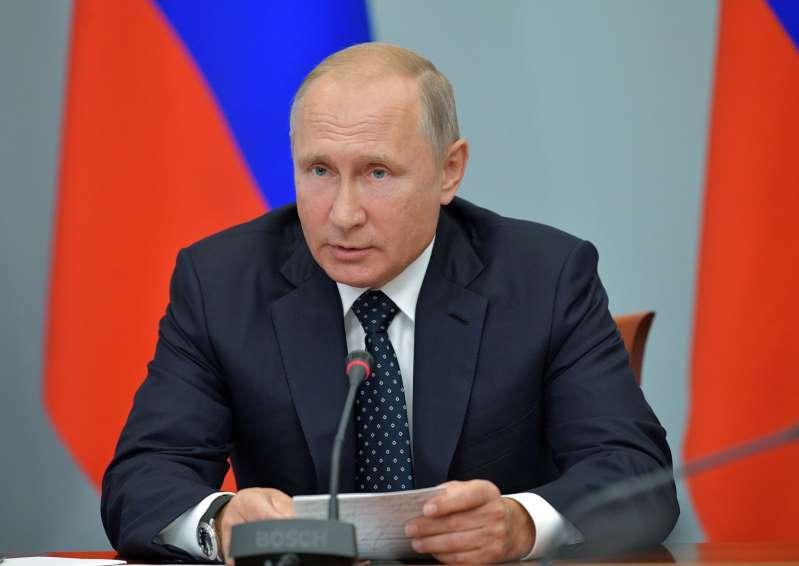 Russia's President Vladimir Putin chairs a government meeting on social and economic issues, including the pension system, in the Siberian city of Omsk, Russia August 28, 2018. Sputnik/Alexei Druzhinin/Kremlin via REUTERS ATTENTION EDITORS - THIS IMAGE WAS PROVIDED BY A THIRD PARTY. Russian President Vladimir Putin fired 15 Russian generals on Tuesday as the country prepares to launch its biggest war games in over four decades. Among those fired were Vladlen Aksenov, the deputy minister of the Russian Ministry of Emergency Situations, and Sergei Koryuchin, head of federal penitentiary services in Russia’s Omsk region. Generals in Russia are often fired in groups, experts note. Eleven generals were fired in April 2018, and other groups were let go in 2016 and 2017. During previous rounds of dismissals, some officials were arrested for corruption, and this week’s case was no different. At least one general, the Minister of Emergency Situations in Russia’s Tomsk region, Mikhail Begun, was also apprehended on corruption charges for allegedly taking bribes. Experts say they suspect more arrests could soon be carried out. The military in Russia generally wields significant political influence. According to a recent report by Transparency International Russia, around 20 percent of Russia’s State Duma, the Russian legislative body, simultaneously act as lobbyists for the military and other law enforcement. Many lawmakers also have deep connections to the Russian intelligence services and interior ministry. "The corruption in Russia is above and beyond what a normal, Western informed observer can even imagine. An oversized, all-powerful state, that is the root cause of corruption. Shuffling generals is like rearranging chairs on the Titanic," Ariel Cohen, a Russia expert and senior fellow at the Washington-based think tank Atlantic Council, told Newsweek. "If we go back through Putin's tenure, it is a regular phenomenon in terms of mowing that lawn. He believes in mowing the lawn regularly." Meanwhile, Russia’s Defense Minister announced that the country would soon hold its biggest military exercises since 1981. Around 300,000 troops and 1,000 aircraft will participate in the exercises, dubbed Vostok 2018. The exercises will be held in mid-September, and Chinese and Mongolian troops are expected to join. Kremlin spokesman Dimitry Peskov noted that the games are essential for Russian defenses in an era when the world has turned against the country.